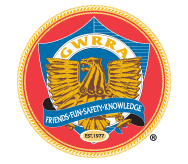 and we certainly promote the GWRRA motto of fun, safety and knowledge. After all, us cyclists understand why a dog sticks its head out the window while driving down the road. We have events occurring 3 weekends of each month, which are completely optional to each and all of our chapter mates and or visitors. We have a Chapter Gathering on the 1st Friday of each month at IHOP in The Woodlands beginning at 7:15pm. All of our rides meet at Stripes Sunoco Station at the corner of Kuykendahl / Hufsmith Rd in Spring. Realizing that there is safety in numbers, if you are looking for a fun group of which to share your time on the open road, please feel welcome to join any of our pending events located on our calendar. Please click the link above the logos for our Organizations to visit their Websites?